Marquee Weddings – is there a lot to arrange? You’ve got engaged, celebrated with friends and family, set a date, now it’s time to make some decisions and plan the big day. if you are thinking about having a marquee wedding but are unsure if you can take on the organising, then let us guide you through the process and put your mind at rest. 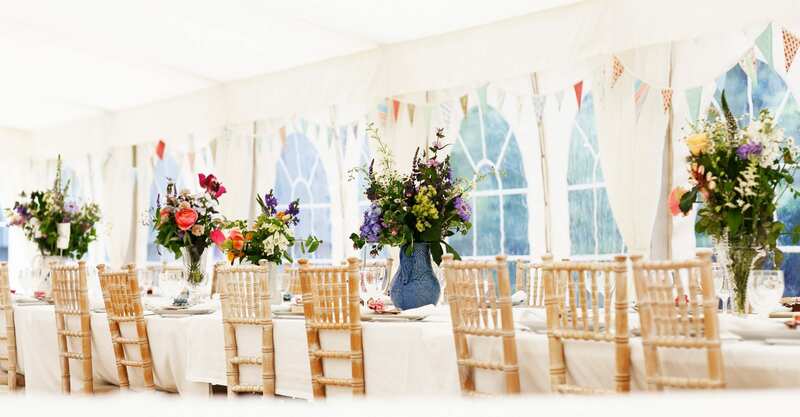 Why opt for a marquee wedding? We love marquees, so of course we are going to be bias, however, we really believe that because each wedding is such a personal and individual event that a marquee enables you to create exactly what you want from your day. Whether you choose to hold a marquee wedding at your family home, hire a field venue or book a marquee wedding venue, you can be certain that no one else will arrange their day in exactly the same way, meaning your day is uniquely made by you, for you. Is it true that marquee weddings are a lot more work? Not if you get right company on board. This is the short answer! It is true that there are probably more things to consider but that doesn’t mean it is all hard work, making sure that you have a reputable company working with you is key. We are on hand from your first communication right the way through to the build and removal of your marquee. At your initial site visit we will look at the site and assess its suitability and discuss how you want your marquee to look, what size marquee you will need, the furnishings you would like to choose and decide on the layout that works for your day. Also we will make sure that you have sufficient power and toilet facilities and make arrangements to supply these items if they are required. We will laise with all your suppliers to ensure that they have the correct power supply available and will coordinate delivery of any sub hires (eg toilets, fridge trailers and generators). When we handover the marquee to you, it will be ready for action! We pride ourselves with the marquee hire service that we have developed over many years making certain that you are involved in all the important decisions but can leave us to the organising so you can enjoy the build up to your day. Site Visit: Once you have homed in on where you would like to hold your marquee event we would suggest getting together for a site visit. 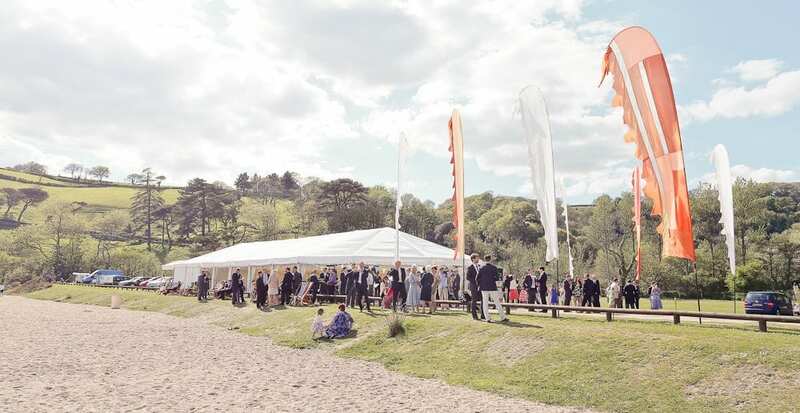 If you don’t have a site in mind but are looking for ideas take a look at our venue listing which features both field sites and established venues which host marquee events. Prior to your site visit you do need to give some consideration to your budget, the number of guests, you would like to attend your reception and whether you have additional evening guests. Also consider how you want your marquee to work for you. Most people opt for a dining marquee with a dance floor, but perhaps you are having a hog roast or bbq and don’t need seating for all your guests. Occasionally bride and grooms will use a marquee for their ceremony (this is usually a blessing or humanist service as you are not legally allowed to be married in a marquee) so we then can provide a layout which allows space for ceremony seating. Whatever your ideas have a think about what you would like so we an create a space that suits your wedding day. Caterers: You will need to choose your caterer and there is a fantastic array of options here in the South West. We are lucky to get to work with some very talented people who source much of their produce from quality local suppliers and take great pride in the amazing food they serve. Your caterer will often run a bar for you as well as providing tableware and linen. Take a look at our recommended supplier listing to get you started, if you haven’t already booked a caterer. Band/DJ: If you are planning to party the night away then you will also need to choose a band or DJ. There is a huge choice available and if you don’t have a band in mind, perhaps go and see a few gigs and have fun doing the research! Other suppliers: Once you have got the big things sorted you may need to approach other companies to assist you other ideas you would like to put in place, from photo booths, bar companies, ice cream vans, bouncy castles etc. Plan you day and work out what is fun for you! Can I decorate the marquee? Yes, Yes Yes! Once you have booked your marquee you can get on with all the fun stuff. This is where you make your marquee your own; you can do as much or as little as you want, after all it is your marquee! If you’re the creative type then you will probably have lots of ideas as to how you will want the marquee to look. But don’t be put off if you’re not so sure, have a look at our gallery and pinterest for inspiration, it is a great way to get a feel for what really works well. Keep an eye out for our next blog about decorating your marquee – it might also give you some tips! Nearer the day – what do I have to do? To be honest once you have booked your marquee you can pretty much leave the rest to us! 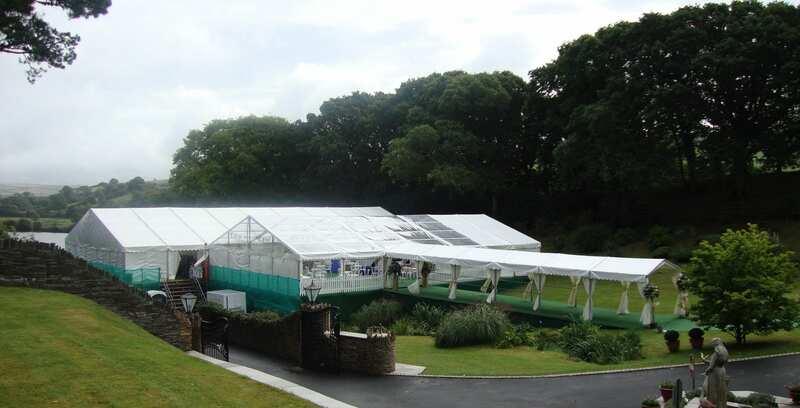 We will coordinate with your suppliers to ensure that they have sufficient space in the marquee along with liaising with them regarding their power requirements. We will check with you to see if there are any last minute alterations (chairs and table numbers often need tweaking) and confirm the day that we will be on site to erect the marquee. Once on site our team of riggers will start to build your marquee and ensure that all electrics are tested so that we handover a fully functioning venue. It can be a good idea to have a designated person, or two (groom, bestman, parents) who know where the switches are for power, lights, toilets, gennie etc. Once we are finished its over to you to dress the marquee (we can assist with hanging lanterns/bunting, if required). Quite often this is when the celebrations start as family and friends are often on hand to help get the marquee ready, alongside caterers and florists. Let the fun begin! So whatever your taste, whatever your ideas, a marquee ticks all the boxes when it comes to hosting a wedding. A marquee will give you a stylish, elegant, versatile venue, with a uniquely personal atmosphere. There is nothing like having all your fiends and family in one place for that one special day. So make it your own, in a marquee!